A popular hill station of Maharashtra, it mesmerizes tourists with its impressive scenery, gleaming valleys, appealing lakes and bravura cascades. Being located at the foothills of the majestic Sahyadri range at an altitude of 625meters, it can be easily reached, and is thus considered as the best destination to spend some time away from the frantic life of Mumbai. The beauty of the whole region is at its acme after a spell of rain. The fresh look of each and every corner of Khandala allures a large number of visitors. The hilly terrain along with the salubrious climate makes this an ideal place to spend some memorable moments. Although the history of this place is a bit ambiguous but it is believed that this place has gone through a large number of ups and downs. It had to go through a glorious but tough time during the reign of strong powers, like Marathas, Peshwas and the Britishers. 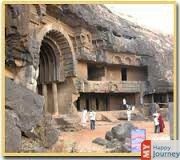 Khandala became the hot favorite of the Britishers and the testament of which can still be seen in the form of exquisite mansions of colonial era present here. Khandala stands high flaunting its lush green landscapes in a perfect way. The meandering cascades and the serene lakes further add to the beauty of this place. The picturesque beauty of this whole area can be seen from close taking a small walk through this place. If you are fond of escapades, then Khandala is the place for you. You can go for rock climbing at Duke's Nose peak and Karla hills. The enthralling atmosphere and the mesmerizing beauty will make this a memorable experience for you. It is a place for everyone. From luxurious to budget, you can find all types of accommodations here. Apart from the beauty and atmosphere, this place is also famous for its magnificent cuisine. It offers a large variety of food, among which fast food is the hot favorite of the tourists. This place is a gateway to many other fantastic locations as well. So if you are looking to spend your holiday at a quiet and serene place, close to nature and with all facilities, then come to Khandala and enjoy the natural beauty at its best.